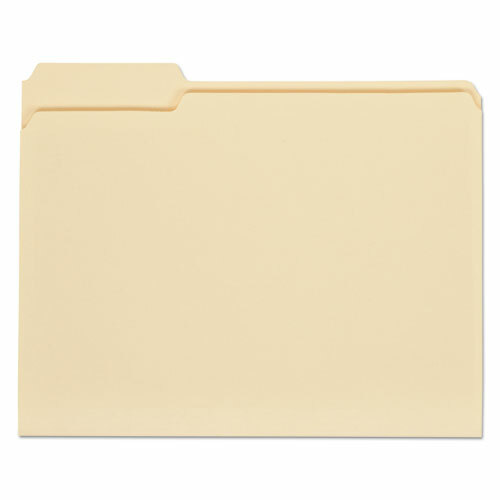 File Folders, 1/3 Cut Assorted, One-Ply Top Tab, Letter, Manila, 100/Box - Delivering office supplies to Chicago and the Chicagoland area for over 50 years! 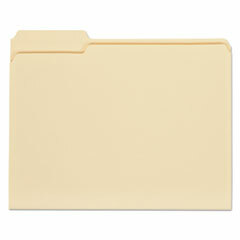 Classic folder constructed to perform in busy offices. Bottom is triple-scored for no-sag expansion. Undercut at tabs for increased indexing area offering plenty of space for more detailed or larger labeling.